These candles are as fully wonderful as described. I also appreciate the information included about how to care for them post-burning to maximize their beauty and longevity. Well done, Bee Hive! 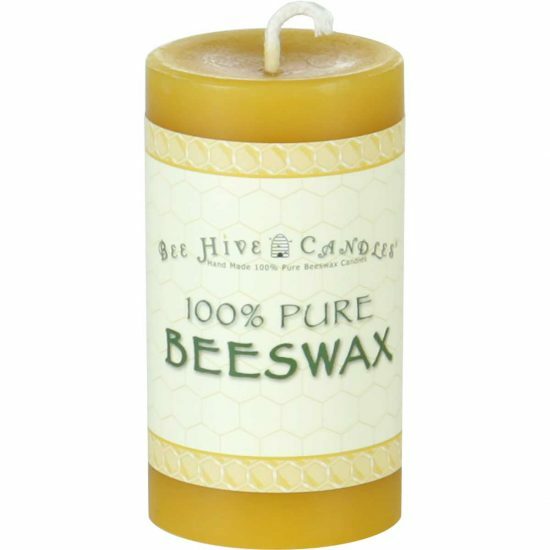 Nice honey smell, not over powering, the candle light is so soothing at night. Burn beautifully. Smell fantastic and clear the air. We have a dog and cook a lot. The condition and smell of our home is important to us but I am VERY scent sensitive. I’m allergic to most chemicals and wouldn’t want to use them even if I wasn’t. 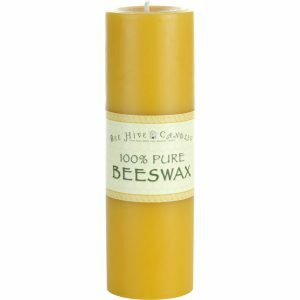 All the bee hive candles we have are beautiful and keep our house smelling great. 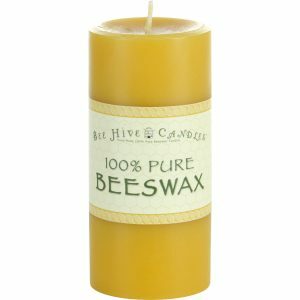 I’ve become a loyal customer to Bee Hive Candles for both their high quality products and excellent customer experience. 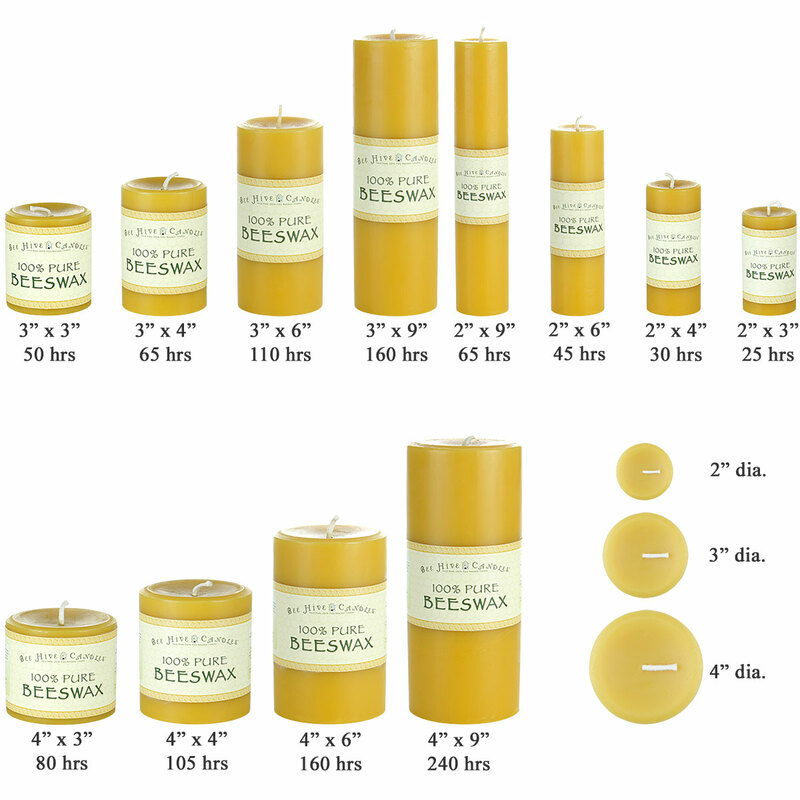 The beeswax candles are perfect for my workplace, nontoxic, and long-lasting. I appreciate the wide range of sizes but find that the 2×3 candles work best for my purposes, especially since I don’t need a candle holder. Always efficient delivery and packed safely. I will continue to buy from Bee Hive Candles for a long time. LOVE! I am sensitive to fragrance have allergies and a dog. I like my house to smell clean but can’t tolerate potpourri or febreeze, etc. These candles leave my home smelling clean and warm. You wouldn’t even know I had a dog. Also love the warm glow ambiance they create. I like they don’t drip. Also no smoke. 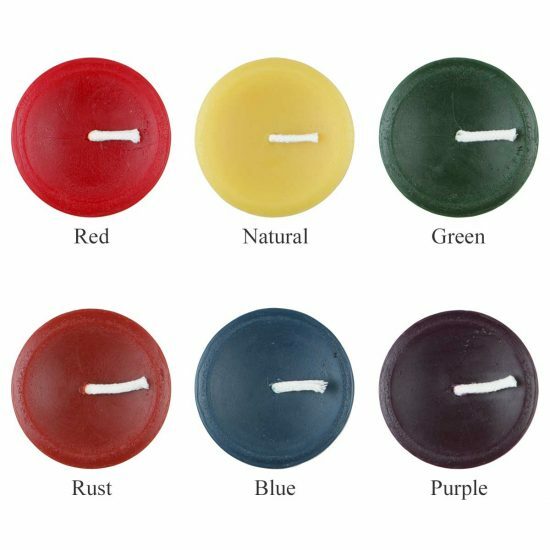 I have purchased several candles and feel the quality warrants the price. They burn clean and for a long time. Very satisfied. 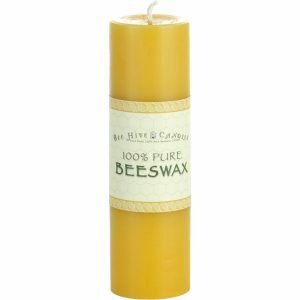 I love all of the candles I’ve bought from Bee Hive Candles. They burn without smoking or dripping – better than any other that I have tried. 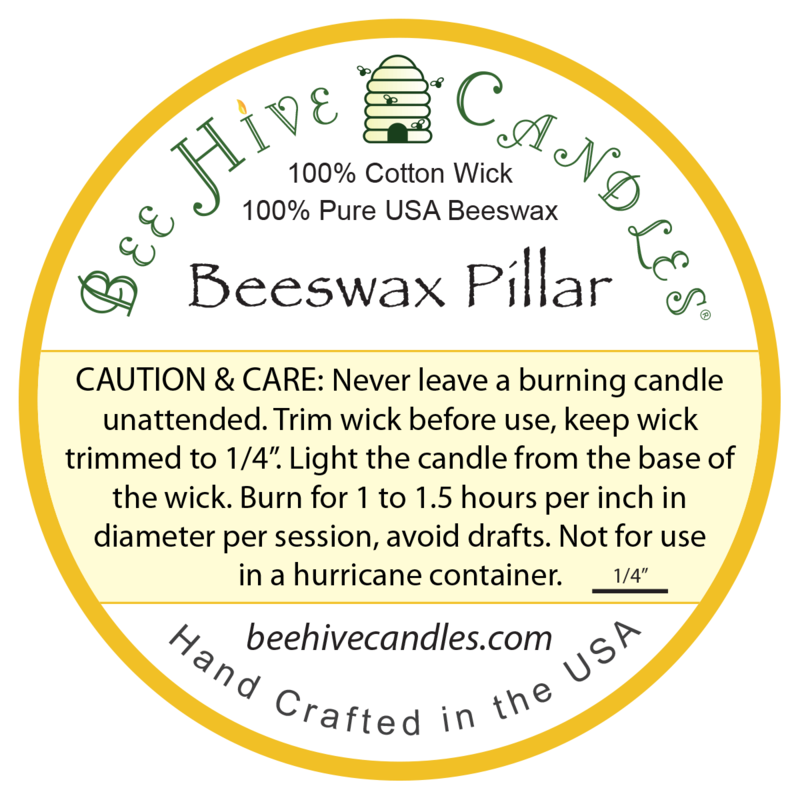 The wick makes a nice flame and burns evenly after relighting.